Inevitably, our Skin quality will deteriorate over time. Our ways, our habits, our genes and even the weather are all factors that influence the state of our Skin. For some the impact is major, for others it's less so but for all of us the change is or will be apparent. Restylane Skinboosters consisting of Restylane Vital products are a way of naturally revitalising the Skin making you look the age you feel. Over time, the quality of your Skin changes - Collagen and Elastic Fibres disintegrate and the spread and function of the body's own Hyaluronic Acid changes, making your Skin Drier, Rougher and less Elastic. While beauty products and treatments pamper your Skin on the surface to treat these symptoms, Restylane Skinboosters restore from within. They create luminous Skin in a natural way by gently and naturally smoothing the Skin from the inside. By adding Hyaluronic Acid through injections under the Skin surface, Restylane Skinboosters restore the Hydro Balance and improves the Structure, Firmness and Elasticity of the Skin giving it new energy. Restylane Skinboosters can be used to not only improve the general Skin quality of your Face but also to improve exposed and sensitive areas such as your Neck, Décolletage and Hands as well as areas with Acne Scarred Skin. 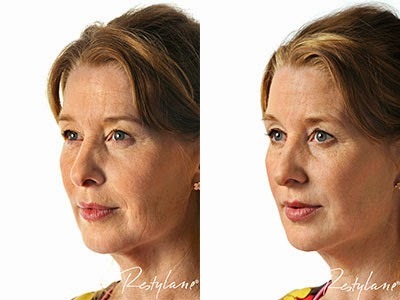 Restylane Skinboosters can also be used proactively which makes them a suitable beauty treatment even for those not yet experiencing the full effects if Ageing Skin. A Restylane Skinboosters treatment is more about care than correction and the results are visible without changing the shape of your Face. Clinical studies demonstrate that Restylane Skinboosters significantly Increase Skin Elasticity and Improve Skin structure. Thinner, Fragile Skin also becomes Thicker and Firmer to better withstand the wear and tear of everyday life. Restylane Skinboosters are not Surgical and they are not Toxins. They are a Natural Beauty method to Restore and Maintain your Skins Quality and Lustre. The Restylane Skinboosters treatment: Three simple steps to that Elevating Glow. Unlike Wrinkle Correction Treatment with Restylane, Restylane Skinboosters is a process in which the Skin quality is gradually built up through injections of multiple micro deposits of long lasting Hyaluronic Acid just under the Skin. Though many of the beneficial effects can be seen after one treatment, three 'start-up' sessions, two to four weeks apart are necessary to give full results. Thereafter regular maintenance treatments about two to three times a year should be scheduled to prolong the Revitalising effect. There are different types of Restylane Skinboosters products and your Trained Medical Practitioner will decide which one you need depending on the condition of your Skin and the Skin area to be treated. The Restylane Skinboosters product range is now available with Lidocaine providing pain relief. This woman had a full Face treatment with Restylane Skinboosters to improve her overall Skin Quality and to get a Natural, Revitalised look. Restylane Skinboosters restores the Youthful Volume to the Backs of your Hands to Plump up the Skin and Diminish the appearance of Veins. 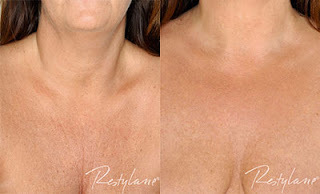 Here the décolletage area has been treated with Restylane Skinboosters to counter the effects of Skin Ageing leaving the Skin more Elastic, Supple and Firm. 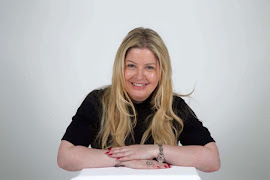 For more details on Restlyane Skinboosters visit the Claudia McGloin Clinic website www.claudiamcgloinclinic.com or call 071 9140728.